Writing is, as a general rule, hard. Defining yourself as a writer can be even harder. Sure, there are other difficult practices like law and medicine out there, but a person becomes a lawyer or a doctor when he or she passes a series of exams and graduates from a certain school. Writing doesn’t always work that way. There aren’t tests to study for and facts to memorize. Where are we supposed to learn how to write? From grammar rules to publishing advice to personal narratives, the books below on writing reveal in intimate detail the ins and outs of what it means to call yourself a writer. Sometimes harsh, sometimes funny, but always honest, they can be thought of as a kind of syllabus for writing. Whether you’re an aspiring artist working on your first drafts or a seasoned veteran in the publishing world, these are some of the best books on writing with insight and wisdom that can support you throughout every stage of your writing process. For both established and prospective authors alike, the publishing house can seem like a jungle. Luckily, Betsy Lerner is here to lead a safari, citing her vast collection of experiences as an editor as her field guide. The Forest for the Trees motivates writers by helping them get over their fear of the unknown. It’s less about taming the wilderness and more about facing the demons of self-doubt and sloth that live in every person’s own mind. William Strunk and E.B. White’s The Elements of Style is so widely known that we’re sure you already have a copy, but of course we had to mention it. The only style guide to ever appear on a bestseller list, this book should be your go-to if your writing is in need of an infusion of clarity. Plus, this particular edition is illustrated by Maira Kalman, adding a visual element of style to the classic. Larry Books turns a technical eye to the writing process in Story Engineering. If you don’t properly plan out your story prior to setting pen to paper, he argues, your storytelling won’t be as effective as you’d like it to be. To remedy this, he takes readers through six core elements of storytelling: concept, character, theme, story structure, scene construction, and voice. Adair Lara’s Naked, Drunk, and Writing is a must-read for any memoirist or personal essayist. With experience as a teacher, editor, and, of course, writer, Lara’s know-how will help readers through problems like how to face your family after they’ve read your work and how to find an agent who will fight for you. The perfect mix of tough love, comic relief, and passion, Lara’s book is invaluable for anyone who needs a little help telling their story. James N. Frey’s overarching guide will be of use to both the novice and the seasoned, published writer. He provides advice for how to overcome writer’s block and fear of the blank page, how to turn a critical eye to your own writing, and more. Frey’s book is one to keep within arm’s reach while writing, to grab during those moments when you need to take a step back from your work and get back to basics. Anne Lamott knows from writing. She’s the author of seven novels (with one on the way) and nine works of nonfiction — many of them bestsellers. In Bird by Bird, her 1994-published book on the craft of writing, Lamott addresses how to get started, accepting the shittiness of a first draft, writing groups, writer’s block, how to know when you’re done and more. Her words, advice, insight are priceless. 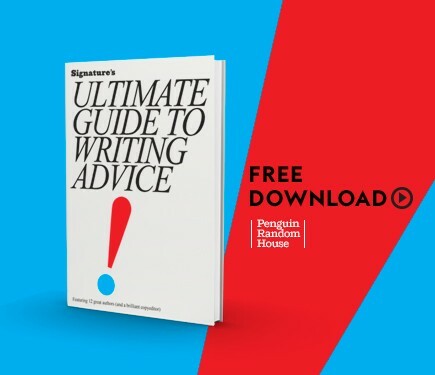 If these books are whetting your writing palette, download our free writing guide for all the basics to get you started. Though some may be able to simply sit back and pull a poem from thin air, that’s not the case for most. Writing workshop leader Susan G. Wooldridge taps into her own experience writing and helping others write to share this compilation of prompts, ideas, and more. Poemcrazy is a guide that any budding poet will find valuable. In the creative process, oftentimes it is our own inner self who acts as our worst enemy. When up against self-doubt, the little naysayer in the back of your mind, how does one overcome and move past it? Steven Pressfield, author of The Legend of Bagger Vance and a number of other novels and eight works of nonfiction, addresses this very question in The War of Art. Madeleine L’Engle has mastered the art of weaving faith into fiction. In Walking on Water, the late author explores what it means to be a Christian artist, and touches on the influence of science on her writerly life. This is, truly, a book that will hold appeal for writers and readers alike, as it sheds light upon the mind of one of this last century’s most talented writers. Charles Bukowski was a legend in his own time, and has left behind a legacy that will live on for as long as the English language does. In On Writing, take a deeper look into this complicated, brilliant writer’s mind through his correspondence with publishers, editors, friends, and other writers. And be prepared, of course, for Bukowski’s oft-hard-to-take honesty. So much of writing is creativity. But let’s not forget about the scientific piece of the puzzle. In her new book, Story Genius, story coach Lisa Cron addresses just that, examining the role that cognitive storytelling strategies can play in writing — and how you can put them to work for yourself. Imagine if you could get help with the very basics of writing poetry from a Pulitzer Prize-winning poet? Fact is, you can via Mary Oliver’s book A Poetry Handbook. The handbook is written in a way that makes it a perfect resource for both teens and adults as they start on their poetry journey — and is a useful refresher for veteran poets as well. The ultimate question that Donald Miller asks of his reader in this account of the turning of his book into a movie is, “If life is a story, what kind of story are you living?” After falling into a slump following the success of his book, Miller embarks on a series of projects and adventures so that his story can be as rich and full as possible. Along the way, he discovers that if his real life is meaningful, his stories will be, too. This book will inspire you to not only write the story you’ve always imagined, but also to live it. What started out as a series of blog posts ended up being one of the most useful and extensive writing guides on the market. More of a practical how-to than a self-help book, the chapters of Roy Peter’s Clark instructional range in topic from “Begin Sentences with Subjects and Verbs” to “Create a Mosaic of Detail to Reveal Character.” Equally useful for writers and editors, Writing Tools empowers the reader to turn good writing into great writing. Morality and art have a complicated relationship, but John Gardner faces it fearlessly in this book-length essay. By Gardner’s way of thinking, all real art is moral, but morality doesn’t necessarily have to do with codes of conduct and submission to a Higher Power; it is the ability of art to point to some human value. The harsh lines he draws to distinguish “art” from “not art,” may frustrate some, but even in that case, this book’s ideas stick in the reader’s head. Dani Shapiro offers this deeply personal account of her experiences as a writer in a book that is equal parts diary, advice column, and narrative story. She tells of her own success and failures always with candor, sometimes with humor, and never with regret. Still Writing is a book for both the novice writer and the seasoned veteran, as it will remind all of its readers why they are, indeed, still writing. Joni Rodgers’ autobiography was published by HarperCollins and became a New York Times bestseller — the writer’s dream, yes? So, then, why did she publish this book with an independent publisher? In First You Write, Rodgers reminds writers why they dedicate themselves to the craft in the first place, including herself. Anyone interested in both writing and publishing would be wise to read this humorous mini-memoir. Bonnie Friedman’s Writing Past Dark is an emotional and psychological writer’s guide. She doesn’t discuss structure, character, or plot, but rather envy, guilt, and writer’s block. She focuses on the hardships of the writer’s life, drawing from personal anecdotes of her own and of historically famous authors (even Shakespeare could get jealous — he said so himself!). Verlyn Klinkenborg offers an interesting challenge to the reader in his book: forget everything you have ever been taught about writing. Rather than composing his essay in paragraphs and chapters, Klinkenborg employs a more poetic style of prose. He uses simple sentences in succession to demonstrate his point: that the sentence itself is the most basic element of writing, and that each sentence should do its fair share of work. Put expectations aside before you pick this one up, and you just may find yourself scribbling sentences on the backs of receipts before you know it. If you’ve ever read a book by renowned American horror novelist Stephen King, you’ve probably wondered just how he comes up with his ideas. For the answer, look no further than On Writing, King’s memoir where he describes his writing process, including anecdotes about how he started some of his most iconic stories. In addition to recounting his personal experiences, he dedicates a whole chapter to grammar and offers his advice on form. It’s a great read for anyone in need of inspiration, and how better to make you pay attention than Mr. King? Every year, America’s most prominent journalists and nonfiction authors gather at Harvard’s Nieman Conference on Narrative Journalism. Consider this compilation of advice from editors Mark Kramer and Wendy Call the “we attended so you don’t have to” summary of the conference. It’s a Best Of from the best of, and each essay is packed with amazing writing advice that will help hone your narrative voice and exercise it so it is stronger than ever. Featuring writing from Malcolm Gladwell, Nora Ephron, and Tom Wolfe, Telling True Stories is essential for a writer who wants to learn from some of writing’s heaviest hitters. Sometimes, you just want your favorite writer to sit across a table from you and answer some basic questions. In The New New Journalism, Robert Boynton gets to do just that. Set up in Q&A format with each author he interviews, The New New Journalism explores writing styles of the past and present and how they compare to one another. And despite its intense focus on journalism and reporting, it’s just as relevant to aspiring novelists as Communications majors working on their theses. Movie lovers will appreciate this book from Christopher Vogler. He exemplifies his writing tips with movies, a practice that makes this instructional especially helpful for screenwriters. Having received praise from writers and directors such as Darren Aronofsky (Black Swan) and Bruce Joel Rubin (Ghost), The Writer’s Journey can boast its status as an essential to anyone looking to write the next Oscar nominated film. It’s also an excellent field guide for a novelist stuck in a plot maze and desperate to get out. Today, everyone has to do at least a little bit of writing to make it through the day. E-mails, text messages, and even social media posts are all forms of writing that are, ostensibly, going to an audience. So, why not make the writing some of your best? William Zinsser’s On Writing Well is for the writer in all of us, whether you’re dreaming of a Pulitzer or just trying to talk to your boss. It’s a straightforward, easy read, and by the time you’re done, you just might be able to talk about those “strong written communication skills” on your resume. Natalie Goldberg is a devout practitioner of Zen Buddhism, and it certain comes through in her book Writing Down the Bones. Goldberg explains how her spirituality has informed her writing. Her tone is encouraging, but she is by no means trying to say that what works her will work for every writer. She simply writes on her own experience, offering simple advice to the reader in the form of short chapters. Writing Down the Bones will help you take a deep breath and keep writing, and isn’t that all writers really want to do, anyway? Behold, the writer’s holy grail. Some of us live and breathe by the rules presented in this book, and still others consider them to be more guidelines than rules. No matter where you land on the spectrum, we’d bet that you’ve got a copy of this in your house somewhere, whether you know it or not. The grammar and punctuation guidelines presented in the book are the most widely used of any other stylebook, and this is the book you should turn to when you’re unsure of where to stick that comma.